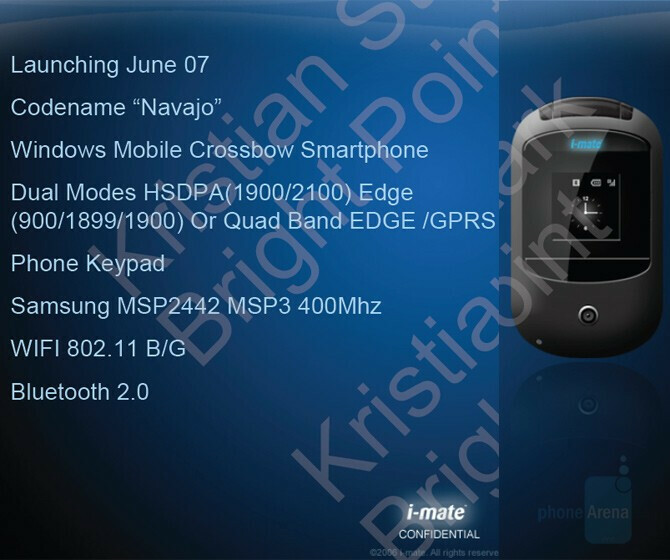 Scheduled for January 07 is the i-Mate P30 – this is simple dual-band 2G PocketPC (Windows Mobile 5) with QVGA display, 2-megapixel camera, Bluetooth, and Stereo Speakers. Its processor is Samsung MSP2442 MSP3 300Mhz. Supposed to launch a month later, in February, is the more advanced Odyssey. It is also WM5 PPC but this one is tri-band GSM with dual-band UMTS and runs on Intel Bulverde at 416Mhz. 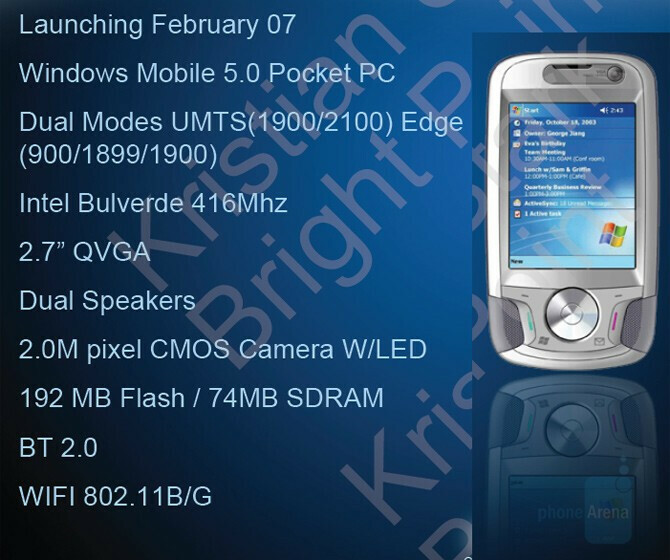 It has 192MB Flash, 74MB SDRAM and features WiFi. The introduction page of the document shows a couple of futuristic devices scheduled for March, but their details are not listed (and so there is no bigger image). 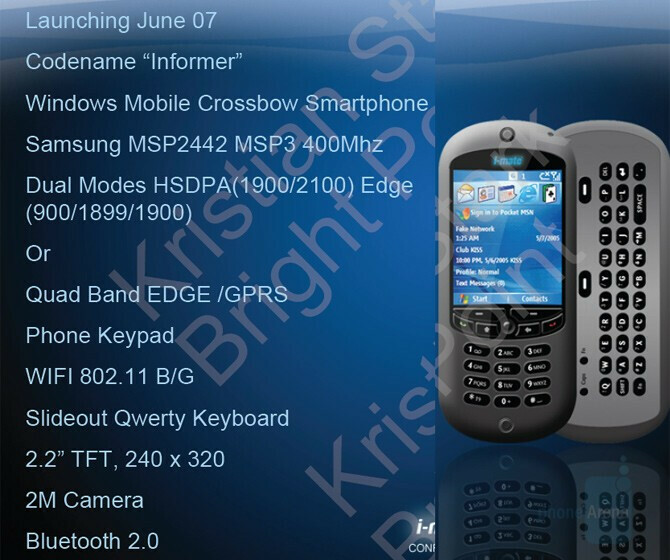 The more interesting devices are grouped under the name of “X Series” which consists of two PocketPC phones scheduled for May and two Smartphones for June. Actually they are two devices running on Windows Mobile Professional and a two on Windows Mobile Standard, as all of the X Series will be Windows Mobile 6 phones (earlier known as Crossbow). Similar to the Ultimate series, the Windows Mobile Professional phones of the X Series (like in the X Files) will share similar (or the same) specifications but in different designs, which means different keyboards, display size (and resolution), etc. 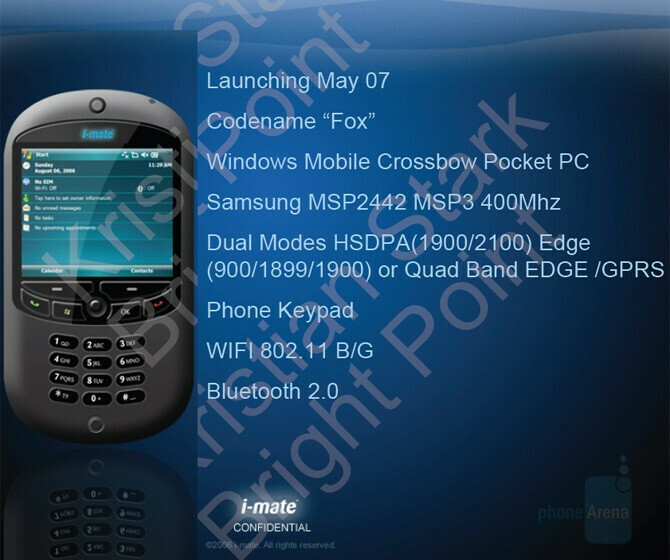 The two new phones are called Fox (Mulder) and (Danna) Scully and both run on Samsung MSP2442 MSP3 processor at 400Mhz and are tri-band or quad-band (we hope it is the second) GSM with dual-band HSDPA (we hope it will change to tri-band). 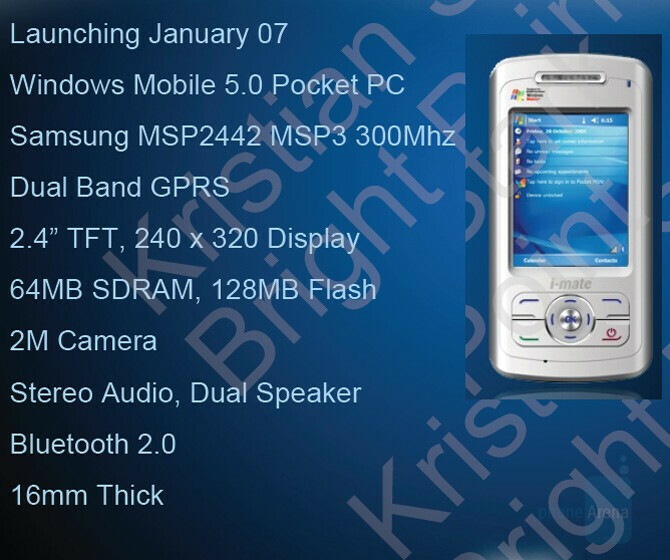 The features listed are Bluetooth 2.0 and WiFi. The X Series have two Windows Mobile Standard smartphones (no touch-screen) with the same specifications (tri or quad-band GSM, dual-band HSDPA, 400Mhz Samsung processor, Bluetooth and WiFi). The phone with codename Navajo is a rounded clamshell with integrated antenna, external display and camera. The Informer has numeric keyboard on the front but also features side-sliding full QWERTY keyboard. This design reminds us of a HTC devices, like the S710 Vox for example. The Informer has 2.2” QVGA display and 2-Megapixel camera. We like what we see in this “Confidential Device Roadmap” and will like to test the X Series devices, but there are facts that worry us. 4 of the devices must have already been available, but even spy photos haven’t leaked (except these). 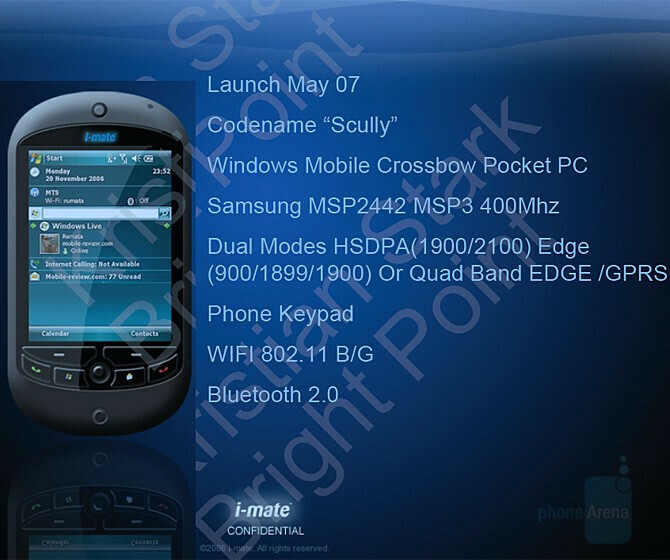 The other thing is the strange fact that the Scully screen shows an image made by Mobile-Review (Russian website for mobile gadgets) and not a press photo of the “Crossbow” (Windows Mobile 6) – this makes us doubt if this spec sheet is really genuine.